Nirva Berthold had nursed cancer patients at Brigham and Women’s Hospital for nine years, when she decided to go after a higher-paying position. The Haitian-American nurse said she was turned down for that job because she is black. When another Haitian- American nurse stuck up for Berthold, that woman said the hospital retaliated against her. The women’s claims — which the Brigham said are untrue — are at the center of two back-to-back trials scheduled to begin this week in Suffolk Superior Court in Boston. Berthold and her former colleague, Gessy Toussaint, sued the hospital and three managers in 2014. Berthold still works at the Brigham, as a care coordinator, while Toussaint resigned in 2015 after 15 years there. The trial comes amid a backdrop of concern about the lack of minority nurses in Massachusetts and nationwide. Six to 10 percent of registered nurses in the country are black, according to various estimates, while blacks make up 13 percent of the population. Many health care experts believe that employing more minority nurses will help reduce health care disparities. For many diseases, black and Hispanic patients have greater mortality rates than their white counterparts. Allison MacLellan, who represents the nurses, is expected to argue that Berthold was qualified for the job of nurse educator in orthopedics when she applied for the promotion in January 2013, and that the hospital used false reasons for turning her down. The real reason, MacLellan said in court documents, was her race; white nurses have always held the job. And manager Mary Ann Kenyon, who is also a defendant in the case, eventually hired a white woman for it. Soon after Berthold lost out on the orthopedics job, Simmons College hired her as a nurse educator. But to do the job, she needed the Brigham to approve her to train student nurses in the hospital. 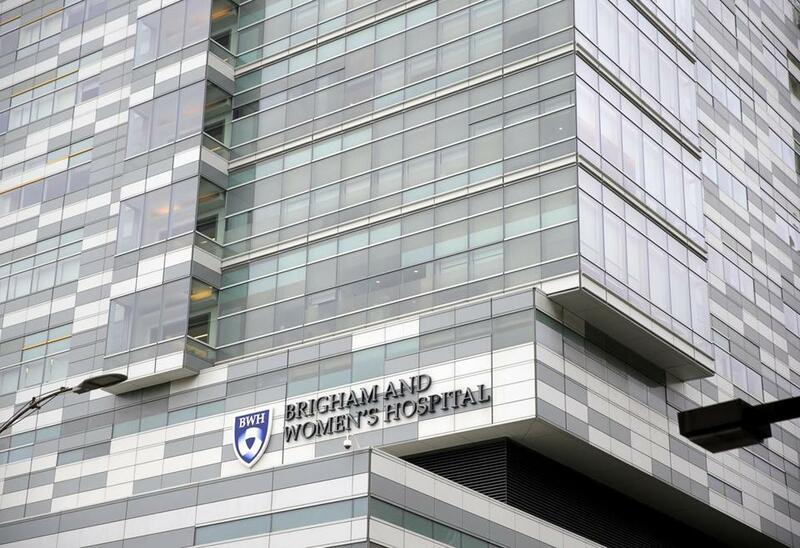 The Brigham said no, an action that was also discriminatory, her attorney said. Berthold is also alleging defamation, saying that the hospital and its managers made derogatory comments about her to Simmons. She ended up taking another job at the college that did not require training nurses at the Brigham, while also continuing to work at the hospital. None of the parties would discuss the case with the Globe. The hospital denied the accusations in court documents, and said the Brigham had a legitimate reason for turning down Berthold for the orthopedics job. She did not hold a master’s degree — Berthold said she had just three more weeks of graduate school — which was a requirement for the position. The hospital said its top choice for the job was another black nurse, but that managers withdrew the offer after discovering that she had not completed her master’s degree, either. Brigham attorneys, from the Boston law firm Peabody & Arnold, said the hospital refused to give Berthold credentials to train nurses because of two separate complaints of unprofessional behavior, one from the wife of an oncology patient and another from a doctor. The complaint from the patient’s wife resulted in a minor disciplinary action. It was the complaint from the doctor that drew Toussaint, Berthold’s colleague, into the case. She witnessed Berthold’s argument with the doctor over how to handle a disruptive patient. Toussaint stuck up for Berthold, saying the doctor was verbally abusive toward her colleague. After that, the lawsuit charges, the Brigham targeted Toussaint, investigating her for numerous instances of poor patient care. At one point, Kenyon, the manager, required her to take a test usually given to new nurses to assess their knowledge, on which Toussaint scored 100 percent. The Brigham responded in court documents that it had legitimate problems with the quality of patient care provided by Toussaint, and that she refused to take steps to improve her practice. She eventually resigned. Discrimination cases rarely involve evidence of direct racist statements. Attorneys usually try to prove their case with indirect evidence, such as a defendant’s hiring record. In a statement to the Globe, Brigham spokeswoman Erin McDonough said the hospital does not tolerate discrimination. She said 13 percent of the hospital’s nurse managers and 12.6 percent of staff nurses are minorities. Data for black nurses alone show that seven of 89 nurse managers are black (8 percent), and 180 of 3,250 staff nurses are black (5.5 percent). McDonough said the Brigham has partnered with two college nursing programs to increase diversity by providing scholarships for bachelor’s degree programs. The hospital’s president, Dr. Betsy Nabel, “has been actively meeting with nurses, residents, faculty and other minority staff to identify and mitigate any overt and implicit bias at the individual and structural level,’’ McDonough said. But Priscilla Gazarian, a nursing professor at the University of Massachusetts Boston, said that black nurses have encountered obstacles at the Brigham as well as at other institutions. Gazarian, who was on the faculty at Simmons when she provided sworn testimony in the lawsuit, said Simmons had issues with many institutions where the college has placed minority nurses for training. “Minority nurses have a hard time in all the hospitals,’’ she said in testimony filed in court. Joe-Ann Fergus, of the Massachusetts Nurses Association, said certain policy decisions make it hard for black and Hispanic nurses to land jobs in teaching hospitals in the first place. Many health care organizations provide financial assistance for minority nurses to earn only an associate’s degree, leading to more limited opportunities than if they earned a bachelor’s degree, said Fergus, membership director for the labor union. “The nurses end up [working] in long-term care or rehabilitation facilities,’’ she said.